This 6 days tour is the ideal choice for the first time visitors. 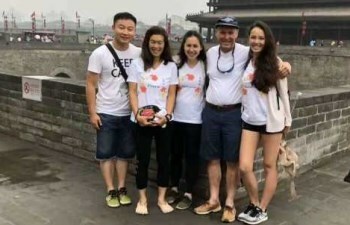 The mist highlight things covers in the tour are: Forbidden City and Great Wall in Beijing, Terracotta Warriors in Xian, Pujiang River cruise and Yuyuan Garden in Shanghai. Pickup by guide and driver at your hotel at 08:00. Today’s first stop will be the Tiananmen Square, the heart and symbol of Beijing and is the largest city square in the world. The spacious square has been used for many public celebrations, ceremonies, and demonstrations for over a hundred years. 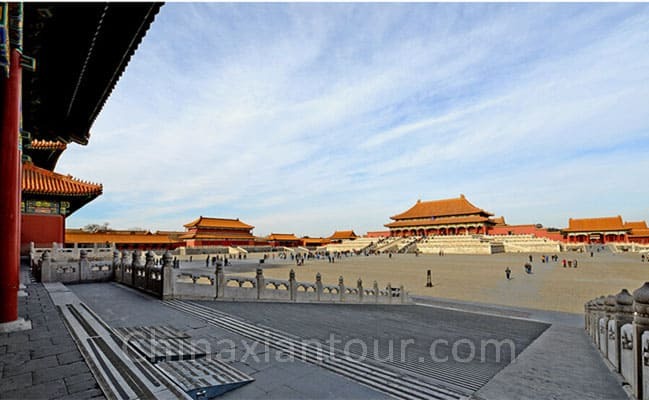 Then you will pay a visit the Forbidden City, one of the largest and most completely preserved palace complex built with wood. It functioned as the imperial palace in the Ming and Qing Dynasties (1368-1912). There were 24 emperors of the two dynasties lived in the Forbidden City. After lunch, we will pay a visit to Temple of Heaven. Located in southern part of Beijing, it serviced as a complex of sacrificial building where Emperors of Ming and Qing Dynasties prayed for peace and harvest. Today’s last stop will be Summer Palace. It locates at the west skirt of Beijing and covers an area of 290 hectare. In the Qing Dynastery during the Qianlong Era, the Summer Palace was built by copying the layout of the West Lake in Hangzhou. Now it is the largest and most completely preserved imperial garden in China. Today you will also pay a visit to Chinese Herb Medicine Market to learn about Chinese traditional herb medicine. 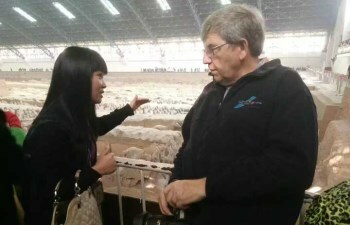 After the tour, you will be escorted back to hotel at about 18:00. 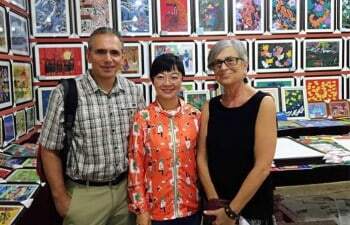 After hotel pickup we will drive to visit the Ming Tombs. Today we will visit the underground palace of Dingling. Dingling Tomb is the tomb of the 13th Emperor of the Ming Dynasty. It is also one of the most visited Ming tombs in Beijing. After then we will drive to Mutianyu Great Wall, the most scenic part of Chinese Great Wall. 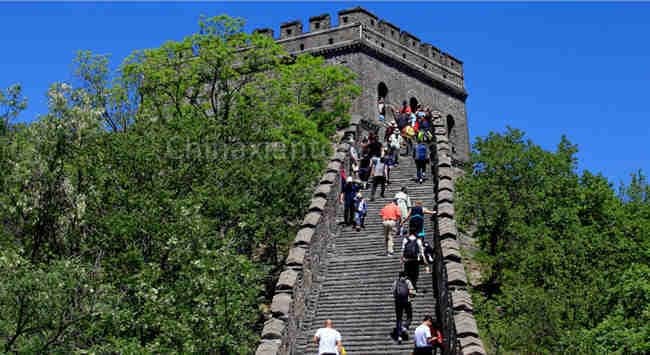 It was built in the early Ming Dynasty at 1368 and stretches 5400 meters. 90% of the Mutianyu Great Wall is covered by vegetation. So in each season this part of the Great Wall will treat visitors with its unique scenery. If hiking is too much for you, cable car is available and optional. On the way back to city area, we will make a stop at Bird’s Nest and Water Cube to pay an outer visit and take some pictures. Today you will also pay a visit to the Jade Carving Factory to learn about Chinese jade culture and meet some best Chinese tea. 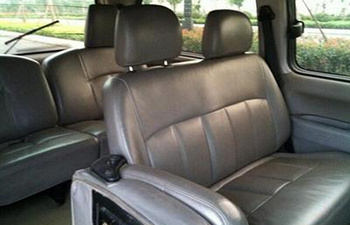 After visiting, you will be escorted back to your hotel in Beijing city area at around 18:00. In the early morning at about 05:00 our driver will pick you up from hotel and transfer to train station for bullet train to Xian. The train riding will be about 6 hours. 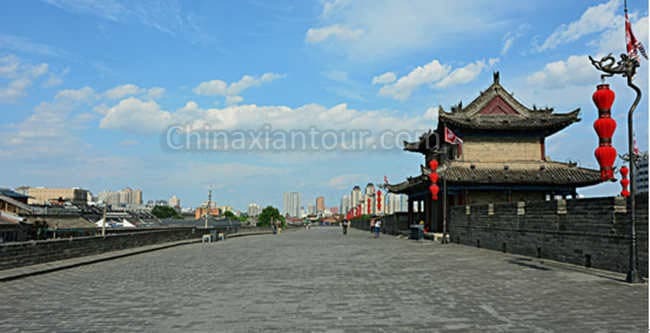 Arriving in Xian, meet your guide and transfer to visit 2 highlight sites in Xian city area: City Wall and Muslim Quarter. The 600 years old city wall is the largest and the most completely preserved ancient military system in China. Bike and battery cart on City Wall is available and optional. The Muslim Quarter is the best known food street in Xian. here would be the excellent place to meet and try local Xian food. After the tour transfer to your hotel at around 18:00. 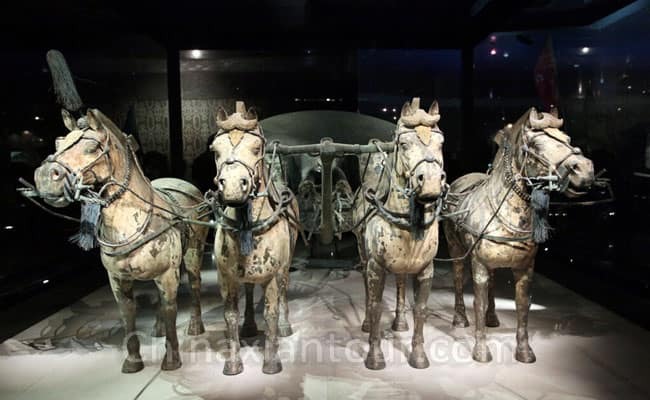 After hotel pickup you will be escorted to visit Terracotta Warriors and Horses Museum, the most significant discovery of the 20th century. Known as “The Eighth Wonders of the World”, the museum shows surprisingly high level in sculpture. 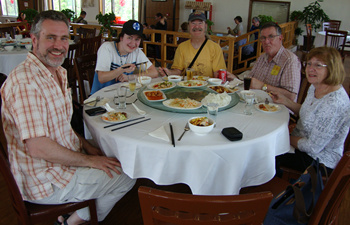 After the lunch in a local restaurant, you will be escorted back to city area to visit the Big Wild Goose Pagoda. The pagoda was originally built in the early Tang Dynasty (618-907) to keep the Buddhist sutra and statues brought from ancient India by Mater Xuanzang. Now the Big Wild Goose Pagoda area is a popular amusement place among local people. 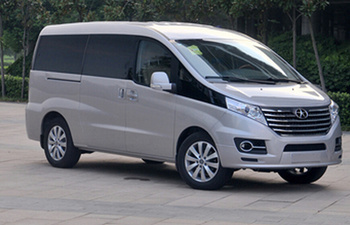 In the morning our driver will meet you in hotel and transfer you to North Xian Station to catch the bullet train to Shanghai. The train riding will cost you about 6 hours again. 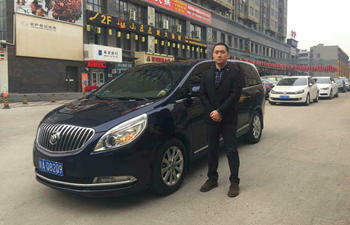 Arriving in Shanghai you will be greeted by local guide and driver. After a short rest in your hotel, you will pay a visit to Oriental Pearl TV Tower and board the 259 meters high glass-bottomed sightseeing floor to have an overlook of the city. 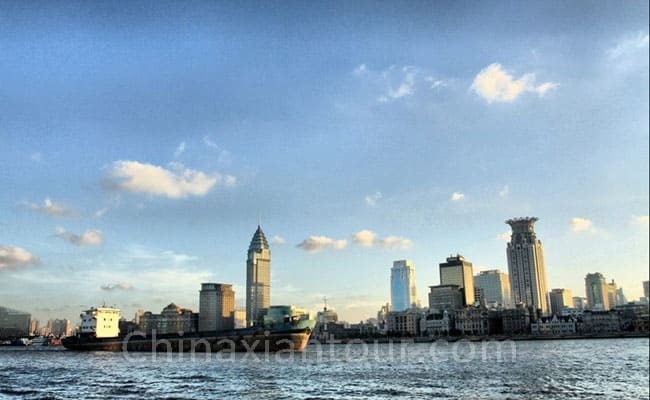 Then you will experience the evening Pujiang River Cruise to see the most beautiful night views of the Bund Area. Back to hotel at about 19:00. In the morning please meet your guide in your hotel at 09:00. Today’s adventure start with Yuyuan Garden, a famous classical garden which was originally built in the Ming Dynasty. 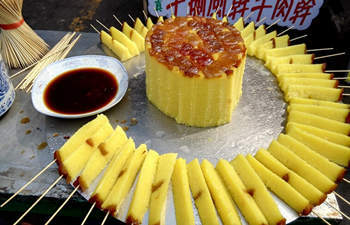 Nearby is Yuyuan Market, a bustling marketplace with traditional architecture and shops selling everything from local snacks to various souvenirs. 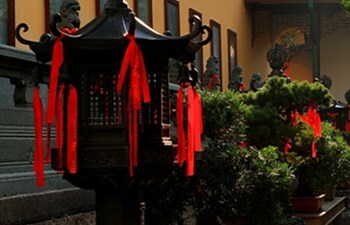 After lunch, continue to visit the hundred-year-old Jade Buddha Temple. The temple was built in the late Qing Dynasty to keep two Jade Buddha statues brought from Burman. Then pay a visit to Shanghai Museum to see the exquisite cultural relics of the city and get a glimpse of the city’s history. 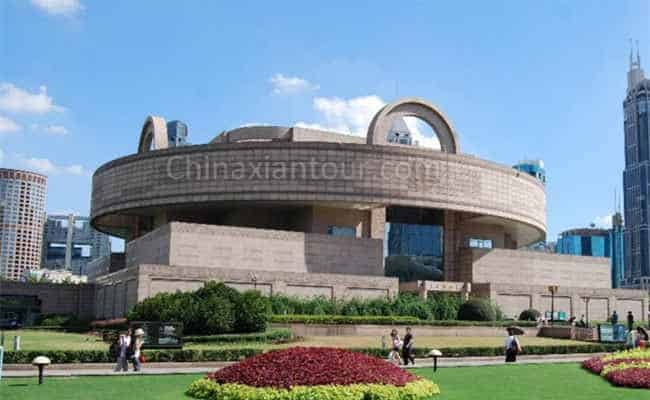 After then continue the tour with Shanghai Urban Planning Exhibition Hall which shows the ever-changing face of the city and is an essential visiting point for those who are interested in the evolution of the city. 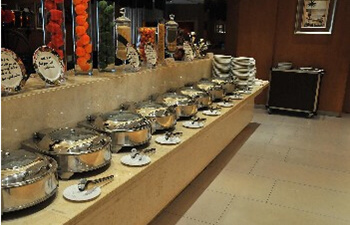 After the one day’s wonderful tour, you will be transferred back to your hotel.